sorry! in the safety zone! 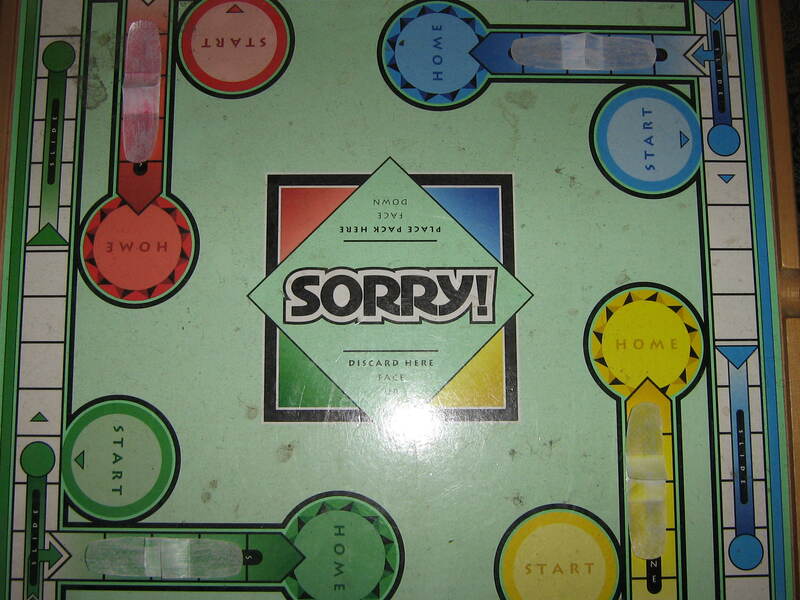 soo the roomates were getting bored and asked if i wanted to play sorry. right before we started i remembered about the safety zone where no one can hurt you. this instantly made me think of band aids. so i took 4 band aids and colored them to match the 4 sorry colors. i wanted to highlight the safety zone party which is where the idea came from. this would target mostly younger kids and people around my age (21) because we used to play this when we were younger. 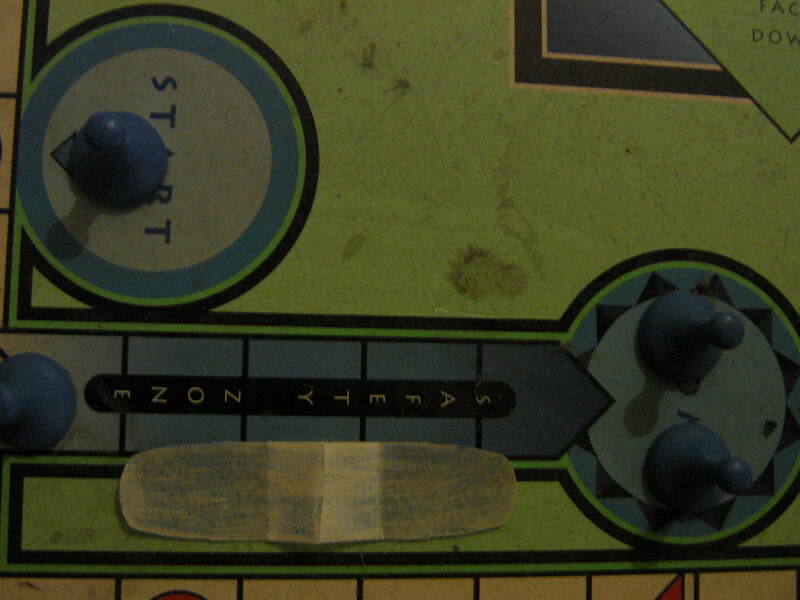 in order to finish the game and to be considered the winner, you have to get your pieces through the safety zone to home base. apologize for the glare i’m not the best photographer and tried lots of angles, lights on and off, and flash on and off. i felt this was the best one out of the bunch.